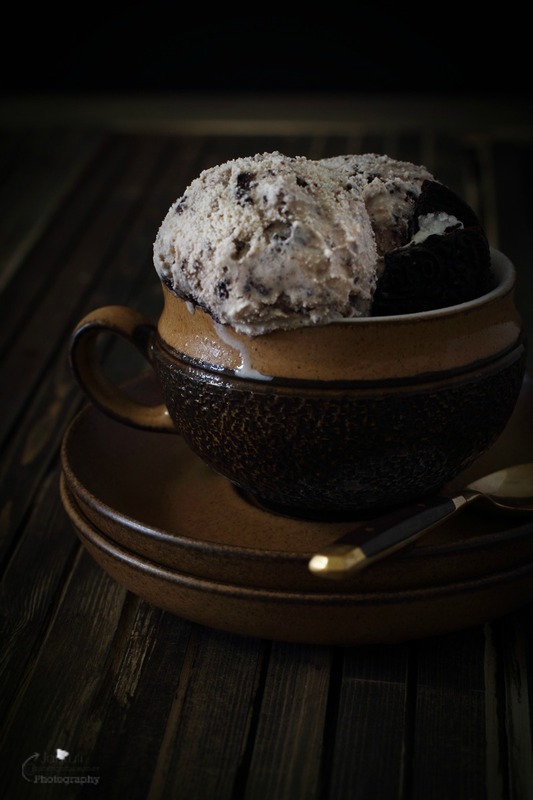 Eggless Cookies 'N' Cream Ice Cream is pure, unadulterated and sinful frozen indulgence not to be missed. It is deliciously thick, creamy smooth with the bites of crunchy chocolate cookies made with only handful of quality ingredients, tastes fabulous !! The great British summer is right here, yes it's great as British summer is unpredictable, you won't know whether it's going to pour down or you are going to be roasted ! Well, not moaning but tell you the truth that this mini heatwave has arrived with a bit of an attitude, and scorching rays showing off almost 34 C, maybe for some it's a magical figure, certainly not for us. This sweltering heat days and humid nights are hard to handle. It's just too hot !!! While temperatures are soaring, for me very difficult to talk or even think about food right now, we are not doing that much cooking, but just concentrating more on gulping fluids down to keep ourselves hydrated. 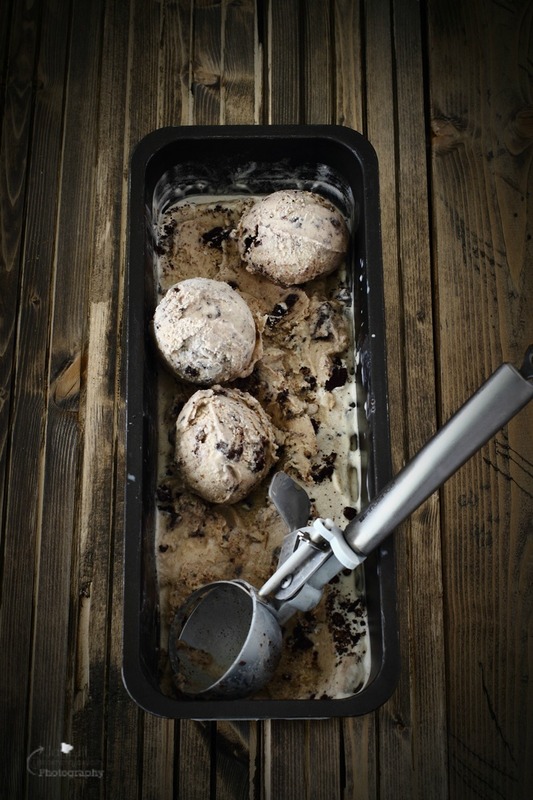 Now that the heatwave is here, for kids, ice creams are surely spectacular food right now - Cookies N Cream to be exact. 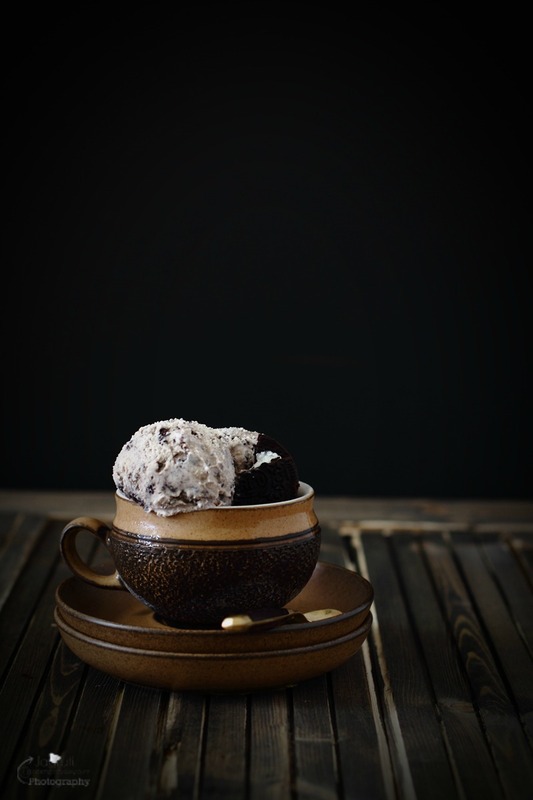 My both kids are fond of Cookies 'N' Cream ice cream, past many summers, without fail daughter would churn up this ice cream herself, actually ,she has become pro at making this one. Although my top favourites are Kesar Pista ( Saffron and Pistachio ) Vanilla , and certainly I won't mind having Dulce de Leche ice cream. I can't deny that this Cookies 'N' Cream is a strong contender of winning a race to make the top spot in my heart. This Cookies 'N' Cream ice cream post was way overdue on JCO, one or the other reason this ice cream post couldn't make it , although every summer daughter whizzes up couple of times. 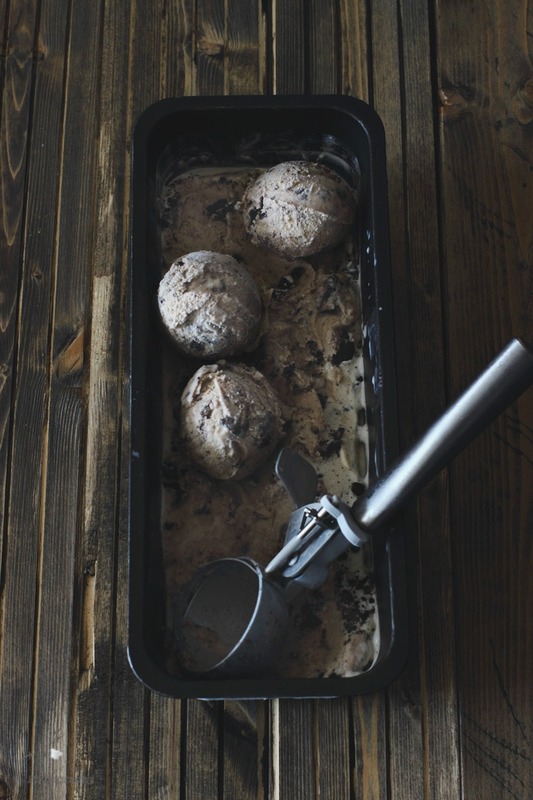 And so without further ado , here I am sharing simple and trusted way to make a Cookies 'N' Cream ice cream. 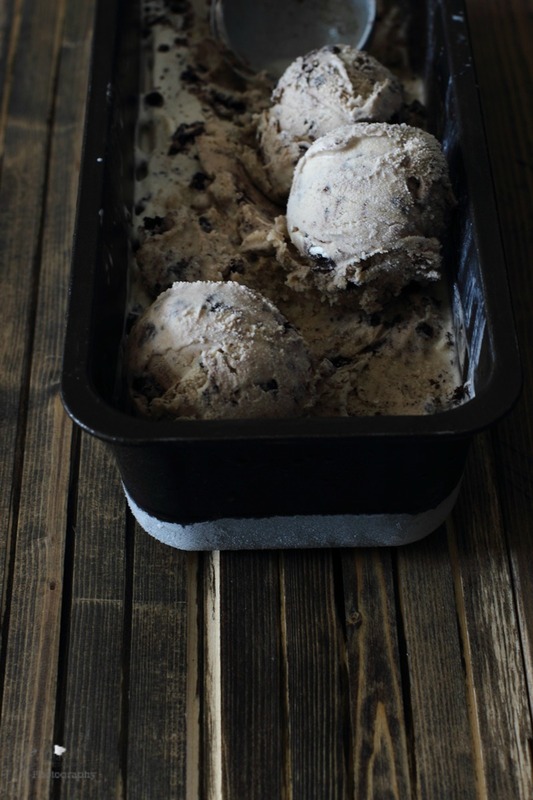 This Cookies 'N' Cream Ice cream is rich and smooth, prepared with only few ingredients . So yummy !!! Freeze the freezer ice cream bowl as per manufacturer's instruction. 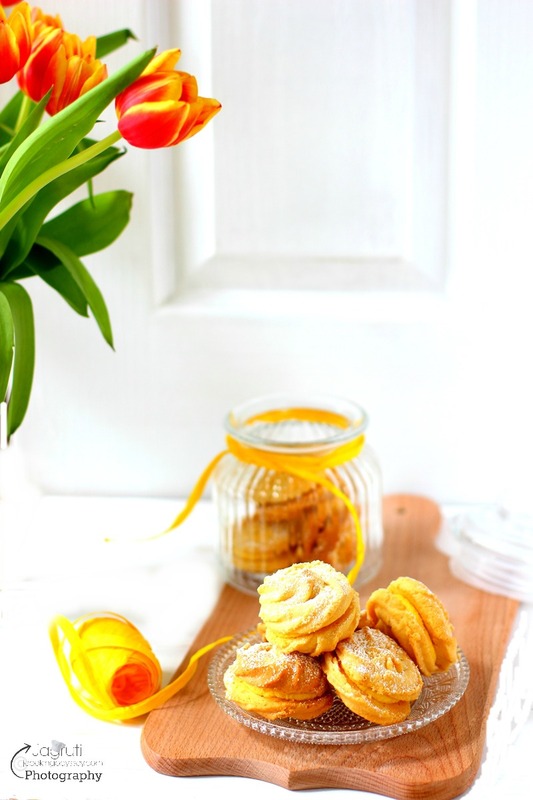 Combine milk and sugar in a one bowl and whisk until sugar dissolves. Then add double cream and vanilla extract, gently mix everything. 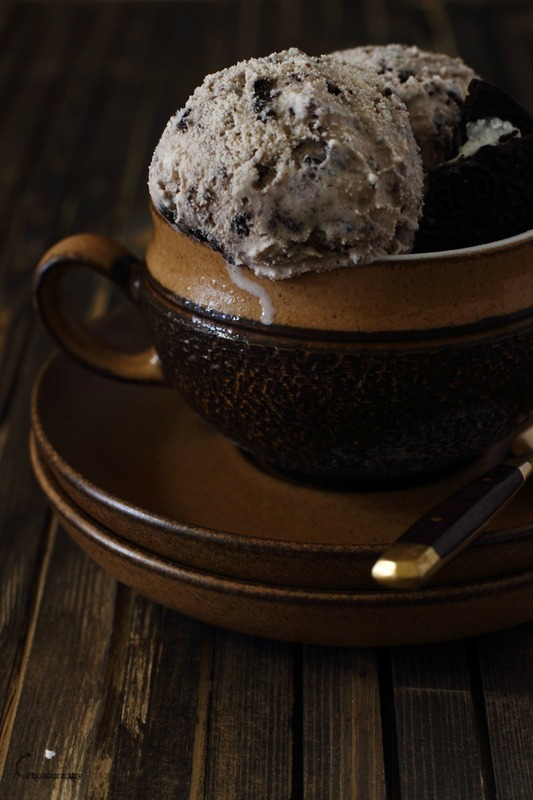 Place freezer bowl into ice cream machine.Turn the machine on and transfer liquid into the ice cream maker and follow according to manufacturer's instructions. Let it run the machine about 35-40 minutes. Add chopped Oreos ( leave couple of spoon for garnishing )and keep the machine running for another 10-12 minutes or until ice cream is thick. 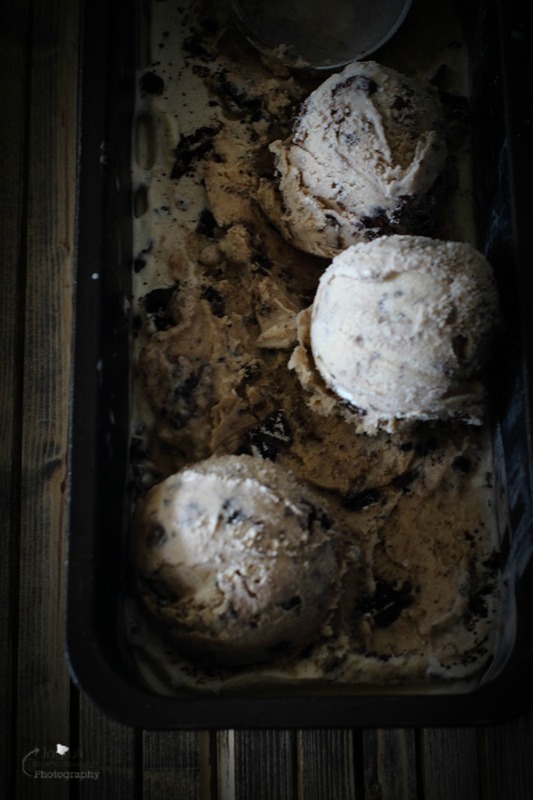 My ice cream maker produces soft finish, so for firmer texture I freeze the ice cream mixture into airtight container, garnish the ice cream with the remaining chopped Oreos and freeze for at least an hour. Ice cream is ready without any crystals.Enjoy ! Thank you Sarah for the lovely words. Maybe whipping cream is double cream in the US ? This looks super delicious and creamy. I will take a nice big bowl. WOW! Your pics are gorgeous and the ice cream is making me drool. 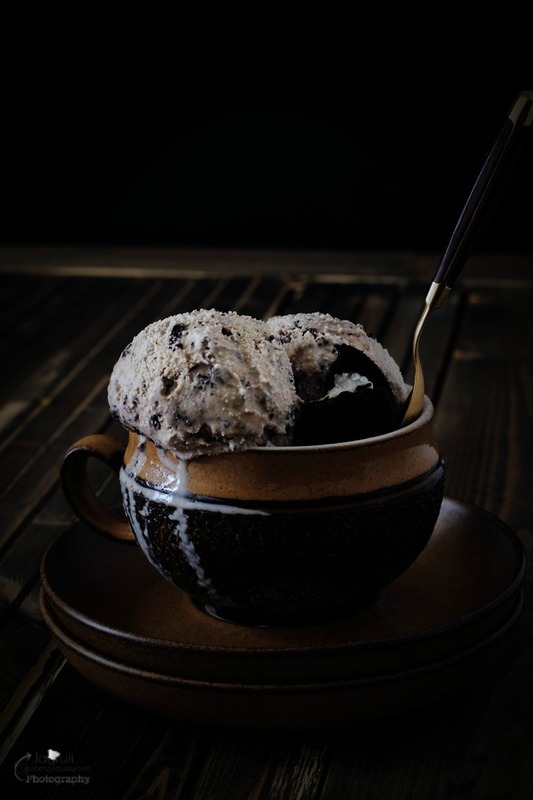 Love, love, love ice cream and Oreos! This looks phenomenal! Pinning.